- What will be the reaction to Kurt Angle revealing that he was the person that attacked "Cowboy" James Storm and cost him his shot at regaining the World Heavyweight Championship? Both Angle and Storm will appear on Thursday&apos;s broadcast, and "The Cowboy" is hellbent on revenge! Based on what happened, TNA officials have already announced the following match: - Thursday&apos;s IMPACT WRESTLING will feature an Eight-Man Elimination Match with "Team Storm" (AJ Styles, Jeff Hardy, Rob Van Dam and Mr. Anderson) vs. "Team Angle" (Bobby Roode, Jeff Jarrett, Bully Ray and Christopher Daniels). No doubt, both Storm and Angle will be involved - will all hell break loose in the Impact Zone? - In a rematch for the World Tag Team Championship, new titleholders Crimson and "The Blueprint" Matt Morgan will defend against former champions Mexican America (Hernandez & Anarquia) - Plus, Knockouts VP Karen Jarrett has announced that there will be the 1st ever "Thanksgiving Thong Thunder" match in the Knockouts Division when Velvet Sky teams with Tara and Brooke Tessmacher to take on Winter, Angelina Love, and Madison Rayne. 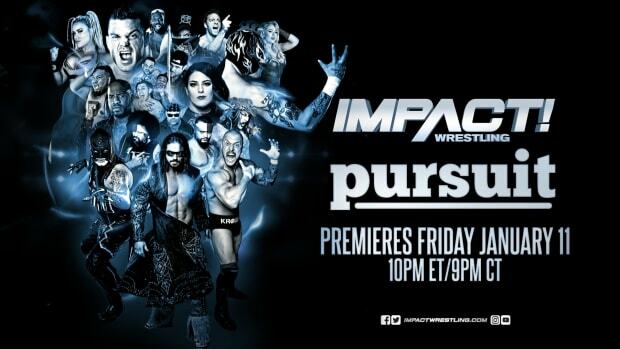 What does Karen Jarrett have planned for this contest? Tune in and find out! - All this and much more on Thursday&apos;s special Thanksgiving holiday edition of IMPACT WRESTLING on SpikeTV at 9/8 as the road to the December 11 "Final Resolution" Pay-Per-View event continues!